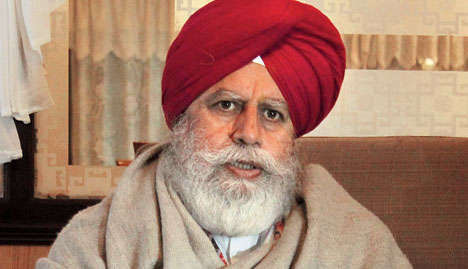 Home political news JAP calling MP Ahluwalia a man without "passport"
JAP calling MP Ahluwalia a man without "passport"
Darjeeling: The Jana Andolan Party launched a broadside against Darjeeling MP S.S. Ahluwalia on Sunday, calling him a man without "passport" in his own constituency and accusing him of returning to the hills "without shame" to stoke up more troubles. The Gorkha Janmukti Morcha, which is politically opposed to the JAP, has already demanded the BJP parliamentarian's resignation. Observers believe the JAP's strong-worded comments on Ahluwalia, despite being opposed to the Morcha, is indicative of the growing disenchantment in the hills with the role Ahluwalia and the BJP played during the statehood movement last year. "The resentment against the BJP is at an all time high in the hills," said an observer. Amar Lama, a bureau member of the JAP, said: "Mr Ahluwalia is like a man without a passport now. He has nowhere to go. The only honourable thing for him to do is to resign." Anmole Prasad, another bureau member of the JAP, said: "Mr Ahluwalia is absolutely right when he says (Bimal) Gurung was a victim of a conspiracy. Mr Ahluwalia should know he is one of the key conspirators, along with Mr Narendra Modi who famously uttered the words, ' Gorkhaon ka sapna, mera sapna'". While campaigning for Ahluwalia in Siliguri in the 2014 Lok Sabha elections, Modi had said the dreams of the Gorkhas were his --- a statement that was used to the hilt by the BJP-Morcha alliance to garner votes. "After misleading Gurung and the people for five years, our MP fled Darjeeling to avoid some hard questions from his constituency in its hour of need. Now, he is creeping back into Siliguri, without shame, in order to stoke up more trouble in the hills," said Prasad. The Darjeeling MP was in Siliguri, which is part of his constituency, after a hiatus of almost eight months, to inaugurate a Passport Seva Kendra on Saturday. "It would be best if Sri Ahluwalia, (who has described himself in Lok Sabha as a staunch Bengali), left the hills alone without meddling further in our affairs," Prasad said in a written statement. Calling up the hill people to elect one among them as the next MP, Prasad said: "It is time that the people of Darjeeling and Kalimpong learnt that hired MPs will always betray us. Unless we learn to represent ourselves in every institution of democracy, we will continue to be the pawns in the hands of the central and state governments, over and over again," said Prasad. Amar Lama said Gurung would be dropped by the BJP like a hot potato soon. "Gurung should realise that he is only useful to the BJP until 2019, after which he will be dropped like a hot potato. Bengal is far more important to the BJP than one seat in Darjeeling," said Lama. The Jana Andolan Party launched a broadside against Darjeeling MP S.S. Ahluwalia on Sunday, calling him a man without "passport" in his own constituency and accusing him of returning to the hills "without shame" to stoke up more troubles.